31 million people are afflicted with chronic sinusitis each year, making it one of the most common health conditions in the United States. 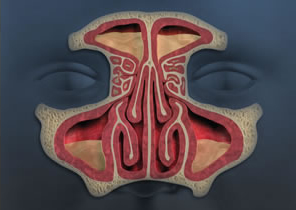 The sinuses are air-filled cavities located within the bones around the nose and eyes that allow for natural ventilation and drainage. 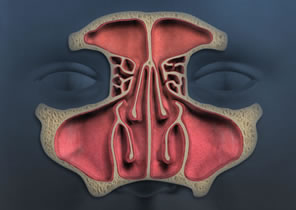 In Chronic Sinusitis, the sinus linings become inflamed, blocking the natural drainage passageways and leading to chronic infections and nasal obstruction. Patients with chronic sinusitis often suffer from debilitating symptoms such as facial pain or pressure, nasal congestion and difficulty breathing, discolored nasal discharge, loss of smell and taste, headache, fatigue and depression. 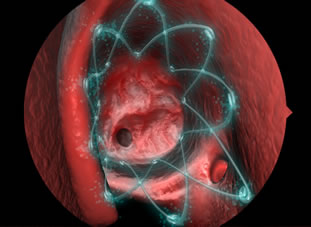 The dissolvable PROPEL Steroid-Releasing Implant is the first in a new category of products offering localized, controlled delivery of steroid directly to the sinus tissue to maintain the openings created in surgery. The result is improved surgical outcomes, reducing the need for additional surgical procedures and for systemic steroids, which can have serious side effects. Three rigorous clinical trials have demonstrated that the implant is safe and maintains the results of sinus surgery by propping open the sinus cavities and decreasing post-operative scarring and inflammation. National Health Interview Survey 2006. CDC National Center for Health Statistics. Series 10 Number 235. Rosenfeld et al,. Oto–HNS. 2007; 137:S1-S31. Schaitkin BM, May M, Shapiro A: et al,. Laryngoscope. 1993; 103: 1117-20. Pilot study results: Murr AH, Smith TL, Hwang PH, et al. IFAR. 2011;1:23–32. ; ADVANCE II clinical trial: Marple BF, Smith TL, Han JK et al. Otolaryngol Head Neck Surg.2012; 146(6) 1004-1011.; Meta-analysis: Han JK, Marple BF, Smith TL et al IFAR. 2012; 2 :271-279. Kennedy DW, Wright ED, Goldberg AN. Laryngoscope. 2000;110:29–31.